Last week, my first book was published through Emmaus Road Publishing, the newly minted publishing arm of the St. Paul Center for Biblical Theology. 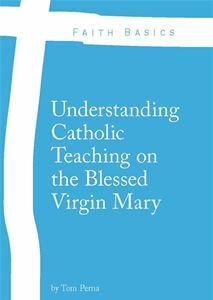 The title of the book is Understanding Catholic Teaching on the Blessed Virgin Mary, which is part of the Faith Basics Series. It was a great accomplishment and one that I could not have completed successfully without the help of Jesus Christ Himself and his beautiful Mother, the Blessed Virgin Mary. If you have not purchased a copy yet, I would encourage you to do so, however, I ask to purchase a copy so you can learn about the Four Marian Dogmas of the Blessed Virgin Mary. When I write about her, it’s about her, and not about my words or about me as writer. The Blessed Mother, as our Mother, always leads us closer to Jesus Christ. This is why Jesus gave her to us, through St. John the Apostle, during his last moments on the Cross. I realized this week that I haven’t written a Quick Lessons from the Catechism (QLC) in some time nor have written in great detail what the Catechism says about Mary and her role in Salvation History. From among the descendants of Eve, God chose the Virgin Mary to be the mother of his Son. “Full of grace”, Mary is “the most excellent fruit of redemption” (SC 103): from the first instant of her conception, she was totally preserved from the stain of original sin and she remained pure from all personal sin throughout her life [#508]. 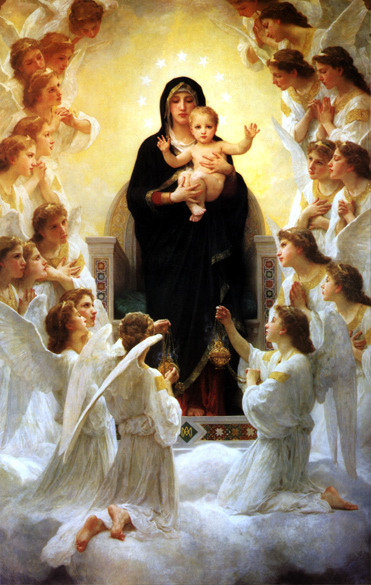 Mary is truly “Mother of God” since she is the mother of the eternal Son of God made man, who is God himself [#509]. Mary “remained a virgin in conceiving her Son, a virgin in giving birth to him, a virgin in carrying him, a virgin in nursing him at her breast, always a virgin” (St. Augustine, Serm. 186, 1: PL 38, 999): with her whole being she is “the handmaid of the Lord” (Lk 1:38) [#510]. The Virgin Mary “cooperated through free faith and obedience in human salvation” (LG 56). She uttered her yes “in the name of all human nature” (St. Thomas Aquinas, STh III, 30, 1). By her obedience she became the new Eve, mother of the living [#511]. For a more extensive explanation, I would encourage you to read paragraphs 484-507 in the Catechism. You can also read my book, where I go into detail on these points with the help of the Sacred Scriptures and Sacred Tradition. Mary, Mother of God, Perpetual Virgin, Immaculately Conceived, who was Assumed into Heaven…Pray for Us. Thank you Tom, I look forward to getting a copy of your book!